The Paese Cosmetics Satin Eyeshadow has a silky, smooth texture. It has an intensely pigmented formula that allows for consistent and accurate application of the color on the eyelid. 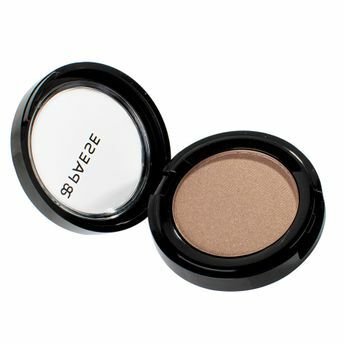 The eyeshadow gives a soft illumination effect to the eyes. It is enriched with Vitamin E, which is also known as the Vitamin of Youth. It delays the aging process of the skin. It also protects the eyelids from damage caused by free radicals as well as improves skin hydration. Vitamin C combats free radicals and promotes sunscreen. It helps to maintain a healthy, shiny, smooth and firm skin, while strengthening the skin's resistance. Additional Information: Introducing an award winning Polish cosmetic brand that opens a land of beauty for every women of all ages, colours, and skin types. The brand's mission is to create exceptional products and to continuously improve their makeup formulas and services that enable women to feel beautiful and confident from within.Paese Cosmetics introduces a wide range of high quality, trendy cosmetics that enhance your natural beauty.